After the Contamination—an epidemic caused by the super-trendy diet drink ThinPro that turned ordinary citizens into violent, uncontrollable creatures—the government rounded up the "Connies" to protect the remaining population. Now, two years later, the rehabilitated are being allowed home, complete with shock collars that will either control, or kill, them. Gritty and grabbing, Velvet is a harrowing, emotionally charged novel for fans of Carrie Ryan and The Walking Dead. She likes rainbows and unicorns and glitter and zombies, and she hates the feeling of corduroy, the grit of sand in her teeth (who doesn’t?) and the way banana candy tastes. She lives by the ocean with her family, and she always goes in the water even though she’s afraid of sharks. 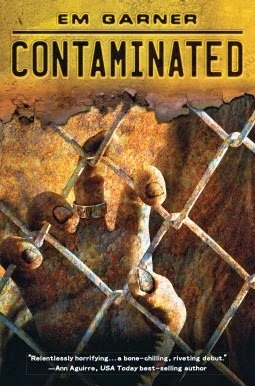 I love zombies therefore, I will love this book! Who can not like Zombie books, awesome summary!